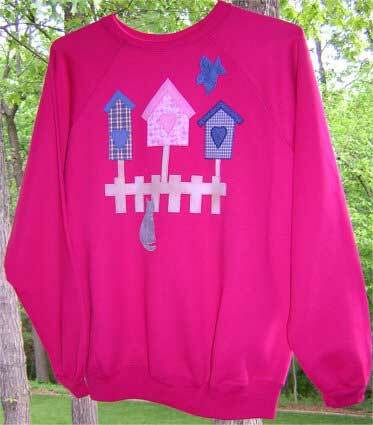 Free applique pattern for sweatshirt decoration. This birdhouse trio pattern consists of 3 birdhouses, a fence, a bird and a cat. 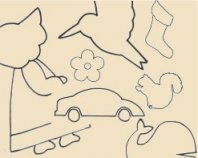 Position each piece on sweatshirt. Iron pattern pieces on the sweatshirt as directed for the Wonder Under.